Why would I need self storage in Antioch, TN? There are a variety of reasons why you might need self-storage in Antioch, TN. How much is a storage unit in Antioch, TN? The cheapest storage unit in Antioch, TN is $42.00 per month. What size storage units do you have available in Antioch, TN? In Antioch, TN we have sizes that range from 5'x5' to 10'x30' to suit your storage needs. How much is it for a 5'x5' storage unit in Antioch, TN? The cheapest 5'x5' storage unit in Antioch, TN is $42.00 per month. Antioch is a growing community in Davidson County, Tennessee. The center of Antioch is located approximately 11 miles from Lebanon and 63 miles from the heart of the state capital, Nashville. Despite being nearly an hour's drive from the capital's downtown area, Antioch is regarded as part of the Nashville metropolitan area. 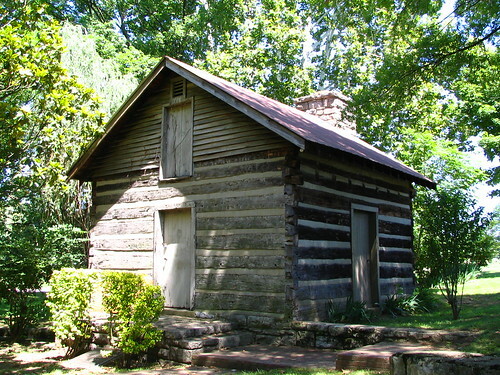 The community of Antioch first began as a small church, constructed near Mill Creek in 1810. It quickly evolved into a small commuter town, supported by early amenities like a post office and general store. When the railroad arrived in Antioch, it provided a convenient way for people to travel to the larger city of Nashville for work, cementing Antioch's status as a commuter city. In the early 1900s, Antioch grew and expanded as suburbanization stretched its vastly undefined borders. In the 1970s, the expansion of the Nashville sewer system allowed for increased construction in the area, and Antioch experienced a population boom. Today, large subdivisions and public housing have helped modernize the landscape of Antioch. Antioch enjoys a low unemployment rate that sits well below the national average, which is an attractive feature for job seekers moving to the area. No longer dependent on the agriculture industry, the local economy has diversified to feature a range of business sectors. This has helped strengthen Antioch's economy, fueling job growth over the past several decades. A large portion of Antioch's working population holds sales and service jobs, ranging from businesspeople managing sales accounts to cooks and servers at Antioch's many fast-food restaurants. Manufacturing and labor jobs are the next most common positions in Antioch. Thanks to the significant presence of firms like Innovative Plastics and Feintool Tennessee Inc., there are many manufacturing jobs in the area. Commons at the Crossings is a major hub for business in Antioch, functioning as the town's primary shopping mall and retail establishment. Community Health Systems is another large employer in the area, and a number of major companies are slated to join the growing economy. Antioch's public schools are part of Davidson County School District, which falls under the jurisdiction of Metropolitan Nashville Public Schools. There are a few private schools in the area, mainly Christian-based campuses affiliated with community churches. Utilities: Major utilities providers in Antioch include Piedmont Natural Gas, Nashville Electric Service and Metro Water Services. Garbage and Recycling: Most single-family homes in Antioch receive curbside collection of trash and recyclables. If you aren't within the recycling service boundaries, you can bring your items to a local recycling center. Transportation: The Nashville MTA operates the public transportation network across the greater Nashville metro area, including bus and park-and-ride service. Antioch's suburban streets feature a mix of medium to large single-family homes as well as more compact apartment buildings. Most local homes were built between 1970 and 1999, but if you prefer something more modern, there are also a number of residences constructed after the turn of the 21st century. Our lowest priced units in Antioch, TN average $43.50 per month. 138 people have reserved units in Antioch, TN in the past 30 days. There are 2 locations within Antioch, TN's city limits. There are 2 locations in Antioch, TN that offer AC and Heating features.